With Digital Dining, it takes just a few taps on an intuitive, easy-to-use screen to place an order or take any form of payment. You have the option to configure screens to match your workflows and your staff, saving even more time and minimizing the chance of error. Easily change menu for dayparts, update specials, add new items or include new modifier options. Digital Dining’s Smart Ordering feature lets you automatically offer combo pricing for applicable orders, to always offer the best price. Digital Dining’s kitchen display system (KDS) integration means orders are instantaneously transmitted to the right prep station, so all the parts of an order are ready at the same time — and as quickly as possible. KDS data also helps managers spot and correct inefficiencies. Cloud Reporting – Heartland Digital Dining lets you access your POS system using a mobile device to monitor expenses, sales, and inventory. Fast Onboarding – With a simple to learn POS system, new hires need only minimal instruction to get to work — and less of your time training them. Selling Prompts – Digital Dining prompts your staff to consistently upsell based on customers’ orders, helping to increase average tickets. 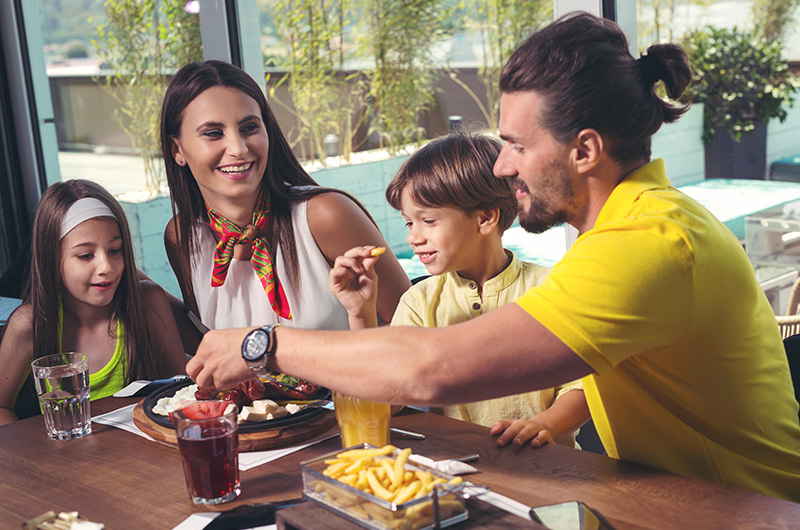 Loyalty Rewards – The Digital Dining Frequent Diner Program lets you reward your most loyal customers, while collecting data that helps you understand them better. In addition to providing greater efficiency, Digital Dining is designed to provide exceptional QSR and fast casual customer service. You can keep lines short with mobile POS’ line-busting capabilities, offer online ordering, and keep your customers engaged with vibrant digital signage. You’ll also know that however and wherever your customers interact with your brand that they have consistently great experiences. 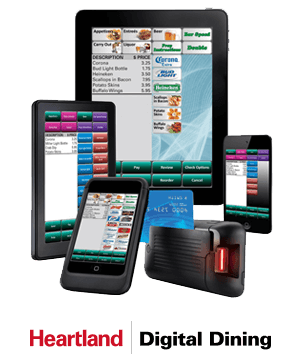 A Heartland Digital Dining QSR or fast casual POS system combined with in-person service from experienced, Ohio-based provider POS Innovation is the perfect solution for your business.